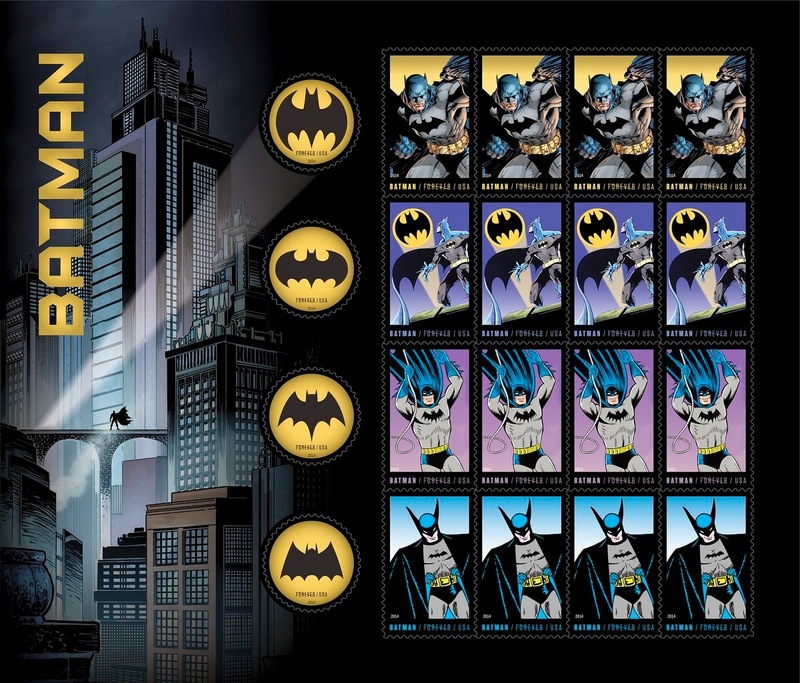 The US Postal Service joined forces to produce these Batman stamps on the superhero's 75th birthday. Get out the Bat Signal. I must have them. These are awesome. I may buy some to put away. I love that they are Forever stamps.